If your car does not seem to get as cool as it used to in the summer it could well be that your air conditioning unit is in need of recharging or replenishment. Leatherhead Motor Company is able to carry out this operation safely and in an environmentally friendly manner. 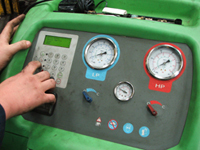 Your car's air conditioning can be recharged during a service, or one of our qualified service engineers to carry out the relevant procedures while you shop at Tesco, as the process should be complete in about 70 minutes. 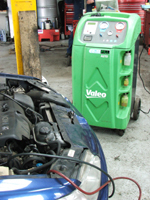 To enquire about air conditioning replenishment on your car call Leatherhead Motor Company on 01372 363 787. Book your air condiioning on 01372 363787.